Import pots, pans and cookware from China with Walker World Trade. 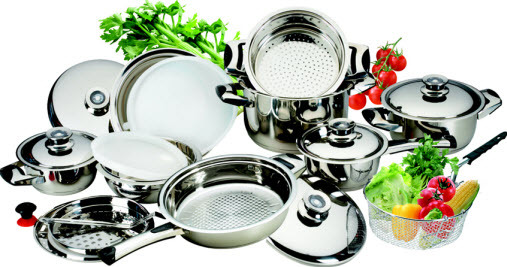 Are you searching for trustworthy and qualified sources of pots, pans and cookware from China? Call Walker World Trade at (248) 644-7700 today for your China pots, pans and cookware sourcing and logistics needs. Walker works with offshore suppliers that stand behind their products. You won’t have to worry about the integrity of pots and pan suppliers discovered on the Internet. We’ll reduce your risks, manage your imports, including freight and Customs. The end result? Increased profits. 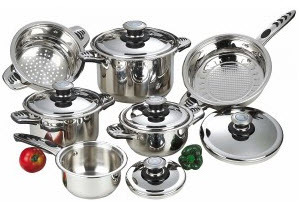 Depending upon whether you buy pots, pans or any other type of cookware, offshore manufacturers will usually require a minimum order quantity. Step 3: If there are no design and development services required, we’ll send you information to the appropriate supplier. If you need design and development services, we’ll send you a feasibility proposal that will outline everything you need to know about importing the cookware of interest. Throughout our 76 years of international trade management Walker International has aligned itself with reputable, trustworthy, quality-conscious and experienced offshore pot and pan manufacturers in China.